Denali National Park and Preserve is located in interior Alaska and is home to Mount McKinley, the tallest mountain in North America at 20, 320 feet (6,194 m). The park itself covers an area of 7,409 square miles (19,189 square km) while together with the preserve covers 9,492 mi² (24,585 km²). 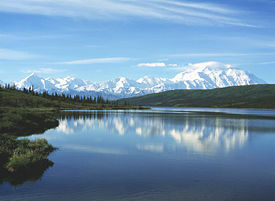 Famous for its pristine wilderness, the park includes large glaciers of the Alaska Range as well as abundant wildlife. The word "Denali" means "the high one" in the native Athabaskan language and refers to the Mount McKinley. The mountain was named after president William McKinley of Ohio in 1897 by local prospector William A. Dickey, although McKinley had no connection with the region. Charles Sheldon, a naturalist, hunter, and conservationist, first traveled to the region in 1906 and took an interest in the Dall sheep native to the region. He became concerned that human encroachment would threaten the natural habitat and conceived a plan to set up the area as a national park. After his 1907-1908 visit, he petitioned the state of Alaska and Congress to create a preserve for sheep. Due largely to Sheldon's efforts, the park was established as Mount McKinley National Park on February 26, 1917 as a wildlife refuge. Ironically, only a portion of Mount McKinley (not even including the summit) was within the original park boundary. The park was designated an international biosphere reserve in 1976. On December 1, 1978, a proclamation by President Jimmy Carter was signed creating Denali National Monument, bringing the entirety of the mountain within the protection of the National Park System. Mount McKinley National Park, whose name had been subject to local criticism from the onset, and Denali National Monument were incorporated and established into Denali National Park and Preserve by the Alaska National Interest Lands Conservation Act, December 2, 1980. At that time the Alaska Board of Geographic Names changed the name of the mountain back to "Denali," even though the U.S. Board of Geographic Names maintains "McKinley." Alaskans tend to use "Denali" and rely on context to distinguish between the park and the mountain. 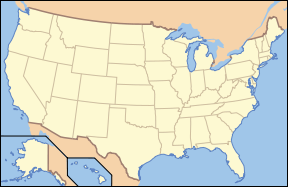 The size of the park is over 6 million acres (25,000 km²), of which 4,724,735.16 acres (19,120 km²) are federally owned. The national preserve is 1,334,200 acres (543 km²), of which 1,304,132 acres (5,278 km²) are federally owned. On December 2, 1980, Denali Wilderness, a 2,146,580-acre (8,687-km²) area within the park was established. Denali habitat is a mix of forest at the lowest elevations, including deciduous taiga. The preserve is also home to tundra at middle elevations, and glaciers, rock and snow at the highest elevations. Annually the park hosts more than 400,000 visitors who enjoy wildlife viewing, mountaineering, and backpacking. Wintertime recreation includes dog-sledding, cross-country skiing, and snowmobiling where allowed. Denali is famous for its diversity of wildlife. It is home to a variety of Alaskan birds and 39 species of mammals, including a healthy population of grizzly bears and black bears. 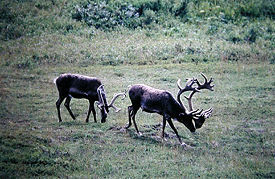 Herds of caribou roam throughout the park. Dall sheep are often seen on mountainsides, and moose feed on the aquatic plants of the many small lakes and swamps. Despite human impact on the area, Denali accommodates gray wolf dens, both historic and active. Smaller animals, such as hoary marmots, arctic ground squirrels, beavers, pikas, and snowshoe hares are seen in abundance. Foxes, martens, lynx, and wolverines also inhabit the park, but are more rarely seen due to their elusive natures. During the winter months, grizzlies go into a deep sleep and ground squirrels and marmots hibernate. However, red squirrels and beavers hole up and subsist on their food supply, while weasels and snowshoe hare turn white and do their best to survive above ground through the winter. The park is home to 167 species of birds. Many migratory species, which is approximately 80 percent of the park’s bird population, travel great distances to return to the park in spring to nest and stay through the summer. Birdwatchers may find wheatears, which spend their winters in Africa, waxwings, arctic warblers, and pine grosbeaks, as well as Ptarmigan and the majestic tundra swan. Predatory birds include a variety of hawks, owls, and the gyrfalcon, as well as the abundant but striking golden eagle. Ten species of fish, including trout, salmon, and arctic grayling share the waters of the park. Because many of the rivers and lakes of Denali are fed by glaciers, glacial silt and cold temperatures slow the metabolism of the fish, preventing them from reaching normal sizes. There are no reptiles and only a single amphibious species, the wood frog, that lives among the lakes of the park. Denali Park Rangers maintain a constant effort to "keep the wildlife wild" by limiting the interaction between humans and park animals. Feeding animals is strictly forbidden, as it may cause adverse affects on their feeding habits. Visitors are encouraged to view animals from safe distances. Despite the large concentration of bears in the park, efforts by rangers to educate backpackers and visitors about preventative measures and bear-resistant food storage containers (BRFCs) have greatly reduced the number of dangerous encounters. Certain areas of the park are often closed due to uncommon wildlife activity, such as denning areas of wolves and bears or recent kill sites. Through the collective care of park staff and visitors, Denali has become a premier destination for wildlife viewing. The Alaska Range, a 400-mile (650-km) mountainous expanse running through the entire park, provides interesting ecosystems in Denali. Because the fall line lies as low as 2,500 feet, wooded areas are rare inside the park, except in the flatter western sections surrounding Wonder Lake, and lowlands of the park where flowing waters melt the frozen ground. Black and white spruce, quaking aspen, paper birch, balsam poplar, and willows make up the majority of these treed areas. Because of mineral content, ground temperature, and a general lack of sufficient soil, areas surrounding the bases of mountains are not suitable for proper tree growth, and most trees and shrubs do not reach full size. Tundra is the predominate ground cover of the park. Layers of topsoil collect on rotten, fragmented rock moved by thousands of years of glacial activity. Mosses, ferns, grasses, and fungi quickly fill the topsoil, and in areas of "wet tundra," tussocks form and may collect algae. Only those plants with short growing seasons that have adapted to very cold temperatures can survive here. Wild blueberries and soap berries thrive in this landscape, and provide the bears of Denali with the main staple of their diets. Over 650 species of flowering plants fill the park, and can be viewed in bloom throughout the summer. 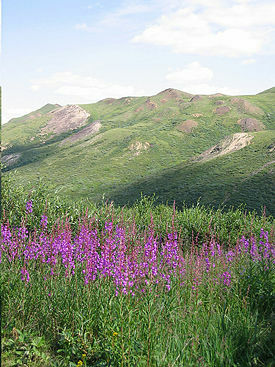 Images of goldenrod, fireweed, lupine, bluebell, and gentian filling the valleys of Denali are often used on postcards and in artwork. Dotting the rocky landscape in a lovely summer display is the dwarf rhododendron and Alaska’s state flower, the forget-me-not. The weather at Denali National Park and Preserve can be very unpredictable. Summer temperatures average from 33 to 75 degrees Fahrenheit. In higher elevations rain or occasional snow occurs even as early as July or August. Temperatures can change quickly, so a person is advised to wear layers of clothing in order to regulate body temperature. Winters can be extremely cold and temperatures can range from -40 degrees Fahrenheit to the high 20s on warmer days. There is an average annual snowfall of 83 inches. Denali Visitor Center (Mile 1.5). A new visitor center, located near the railroad depot, opened in May 2005. The visitor center provides a movie and is the starting point for many interpretative, ranger-led trail walks. Savage River (Mile 14). Nearly everyone who drives to Denali will stop at Savage River because traffic beyond this point is not permitted for private vehicles. There are several trails on both sides of the river that begin at the parking lot, and the more adventurous can attempt to seek out Dall sheep on the top of Mount Margaret, which rises across the river. Fish Creek (Mile 63). This is just beyond a point along the road called Stony Dome where, on a clear day, a particularly impressive view of Mt. McKinley is possible. Despite its name, there are very few, perhaps even no, fish in the creek. Eielson Visitor Center (Mile 66). Eielson is most easily reached by shuttle bus and provides one of the most dramatic views of the mountain, if you are lucky enough to visit on a clear day. There are several short trails around the visitor center, and displays inside the center provide info on the natural history of the area. Wonder Lake (Mile 86). Forever immortalized by the photos of Ansel Adams, Wonder Lake is a beautiful lake at the base of the mountain. Reflection Pond, along the park road on the east side of the lake, is a favorite of photographers when the mountain is out. An established trail to the heavily braided McKinley River is popular. Sled Dog Demonstrations. The park service keeps sled dogs for use in the winter. During the summer, rangers and dogs work together to demonstrate for visitors this traditional mode of travel in Alaska. These unique 30-minute programs allow visitors to tour the kennels and see Denali’s Alaskan Huskies. The park is an outdoor paradise, and offers activities for visitors of all ages and experience levels. National Park Rangers provide guided walks and educational talks on a variety of topics. Hiking. There are a handful of trails within the park, but the majority of visitors will eventually find themselves selecting their own path. When hiking off trail it is advised that groups spread out and avoid hiking single-file in order to minimize damage to the vegetation from being repeatedly trod upon. Backpacking. It is not only possible, but likely that a backpacker can travel for days without seeing another human. Permits are required for all overnight stays and can be acquired at the Backcountry Information Center, adjacent to the Wilderness Access Center (mile 0.6). Strict limits are placed on how many people may camp in any park unit at a given time, so permits for popular areas and units cannot be reserved in advance, therefore it is good to keep in mind several possible areas to explore. Whitewater rafting. Whitewater rafting is available on the near-freezing waters of the Nenana River, which parallels the Parks Highway. Two different two-hour trips are available, or they can be combined into one four-hour trip. Sport Fishing. Extreme cold temperatures limit the catch, but lake trout can be found in Wonder Lake as well as arctic grayling in some of the mountain streams. No license is needed within the original national park lands. A license is required in the 1980 park land additions and in the Denali Preserve. Camping. For those not quite ready for the backcountry experience, the park offers several campgrounds. Be aware that reservations are strongly recommended during the summer months as campgrounds fill quickly. Riley Creek Campground (Year-round). Located near the park entrance, this campground offers 150 sites suitable for camping and RVs. Savage River Campground (Summer only). Located 13 miles from the park entrance near Savage River, this campground offers 33 sites suitable for camping and RVs. Sanctuary River Campground (Summer only). Located 23 miles from the park entrance, this campground offers 7 tent-only sites. Teklanika River Campground (Summer only). Located 29 miles from the park entrance, this campground offers 53 sites suitable for RVs. Wonder Lake Campground (Summer only). Located 85 miles from the park entrance, this campground offers 28 tent-only sites. Igloo Creek Campground. This campground is temporarily close to protect local wolf packs. It might reopen in 2008. The park is serviced by a 91-mile road from the Parks Highway to the mining camp of Kantishna. Only a small fraction of the road is paved because permafrost and the freeze-thaw cycle create an enormous cost for maintaining the road. Private vehicles are only allowed on the road in early spring and late fall. During the summer months, visitors must access the interior of the park through shuttle buses operated by concession. 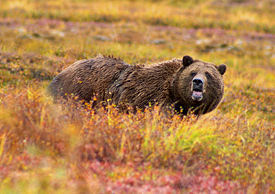 Several fully narrated tours of the park are available, the most popular of which is the Tundra Wilderness Tour. The tours travel from the initial boreal forests through tundra to the Toklat River or Kantishna. A clear view of the mountain is only possible about 20 percent of the time during the summer, although it is visible more often during the winter. Several portions of the road run alongside sheer cliffs that drop hundreds of feet at the edges, and the extreme conditions prevent construction of guardrails. As a result of the danger involved, and because most of the gravel road is only one lane wide, drivers are trained extensively in procedures for navigating the sharp mountain curves, and yielding the right-of-way to opposing buses and park vehicles. Tours are more expensive than the shuttles, but recommended for groups interested in learning as much about the culture and history of the area as possible. The shuttle buses are a better option for budget travelers, people wishing to day-hike or backpack, and groups interested in seeing as much of the park as possible (as shuttles all travel as far, or in many cases farther, than the tours). Mount McKinley (or Denali, as referred to by Alaskans) is the highest mountain peak in North America, at a height of approximately 20,320 feet. The upper two-thirds of its massive summit is covered with permanent snowfields that feed many glaciers, some surpassing 30 miles in length. The mountain is the centerpiece of Denali National Park. Native Americans referred to the mountain as Denali, meaning “The High One,” while Russians called it Bolshaya Gora, or “Great Mountain.” It received its current name in 1896, in honor of then-United States President William McKinley. Mount McKinley is located in the central portion of the Alaska Range, which spans much of south central Alaska. It is approximately 130 miles north-northwest of Anchorage and 155 miles southwest of Fairbanks. The summit is approximately 35 miles from the nearest major road, the George Parks Highway. The mountain is regularly climbed today, with just over 50 percent of the expeditions successful, although it is still a dangerous undertaking. By 2003, the mountain had claimed the lives of nearly 100 mountaineers. The vast majority of climbers use the West Buttress Route, pioneered in 1951 by Bradford Washburn, after an extensive aerial photographic analysis of the mountain. 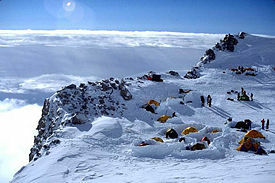 Climbers typically take two to four weeks to ascend the mountain. ↑ His account of the visit was published posthumously as The Wilderness of Denali. ↑ Joe Glickman, August 24, 2003. Man Against the Great One, New York Times. Retrieved June 21, 2007. Uhler, John William. Denali National Park. 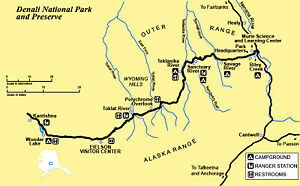 Denali National Park Information Page. Retrieved June 21, 2007. Wikitravel. Denali National Park. Retrieved June 21, 2007. Denali – National Park Service. Denali National Park’s Top Rated Backcountry Lodge – Kantishna Roadhouse. History of "Denali National Park and Preserve"
This page was last modified on 3 November 2017, at 16:15.